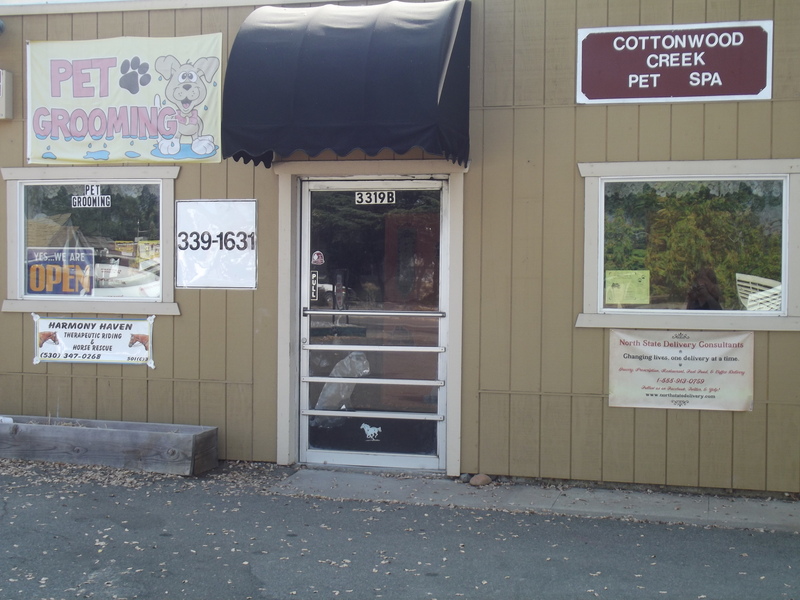 We opened this groom shop on March 17, 2010 and we are the only groomers in town. Home of the $5.00 nail trim. We specialize in hard to handle and hard to groom dogs and cats. Our prices are also the best in Shasta and Tehama county. Bring your dog or cat in once and you will never use other groomers again! Call to make an appointment for Monday through Saturday from 9:00 AM to 5:00 PM. Shop number is 530-347-4477. Tiffany has been grooming since 1995 and Thomas has been grooming since 2007. Thomas was taught to be a great groomer by Tiffany. They have worked together for years and have a wonderful working relationship. A brother and sister power team. This is a wonderful groom shop! I can attest to both Tiffany and Thomas being good, conscientious, hard-working people! With your history as animal lovers and animal caretakers, you guys will always do great work!